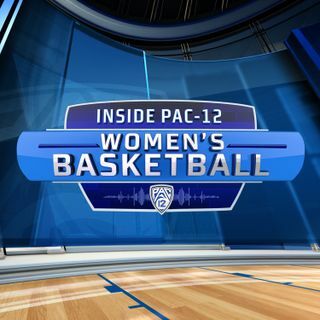 On the 8th episode of the Inside Pac-12 Women's Basketball Podcast, Pac-12 Networks' Ashley Adamson and Mary Murphy recap the Pac-12 Women’s Tournament in Las Vegas. Mary and Ash recount the euphoric scene after 11-seeded Washington upset Oregon State (7:40) and discuss Stanford’s redemption versus Oregon (14:38). One of the stars of the tournament, Stanford’s DiJonai Carrington joins the podcast (15:42), and shares the mindset the Cardinal had going into the championship game after ... Más informaciones losing to the Ducks by 40 points earlier in the season. DiJonai praises the play of teammate Anna Wilson and discusses the trust Coach VanDerveer had in the team (21:17). DiJonai also talks about growing up in an athletic family and being allowed to play tackle football at a young age (23:46). She shares what her future plans are, and why she believes she must use her platform as a Stanford student-athlete to help others (30:22). Less than a week away from Selection Monday, ESPN women’s bracketologist Charlie Creme calls in (38:33) and describes how he got into bracketology. He talks about his process for predicting what teams the NCAA Committee will select, and also talks about pushback on social media from certain fan bases (46:44). Charlie also explains why Stanford and Oregon are 2-seeds (49:44) and despite a late season surge, UCLA is still a 6-seed (52:00). He also tells us which Pac-12 teams he thinks can make a run to the Final Four (53:35).